However, poor battery life and its incredibly high price limits the Slate's appeal to a niche audience of well-heeled, productivity-oriented individuals who don't need to stray too far from a power outlet. 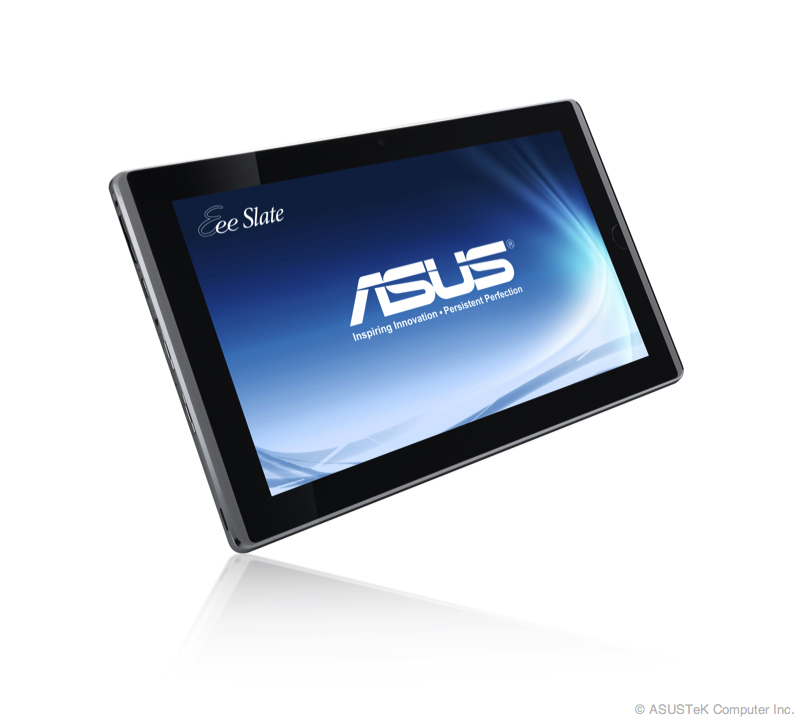 Asus' Eee Slate EP121 is a unique Windows tablet that has a lot going for it. A beautiful 12.1in IPS screen offers both capacitive and pen feedback with the included Wacom stylus, making it an intriguing artist's and designer's tool. Powerful internals ensure Windows 7 rarely feels less than smooth, while comprehensive connectivity and surprisingly good speakers are the icing on the cake. However, poor battery life and its incredibly high price limits the Slate's appeal to a niche audience of well-heeled, productivity-oriented individuals who don't need to stray too far from a power outlet. 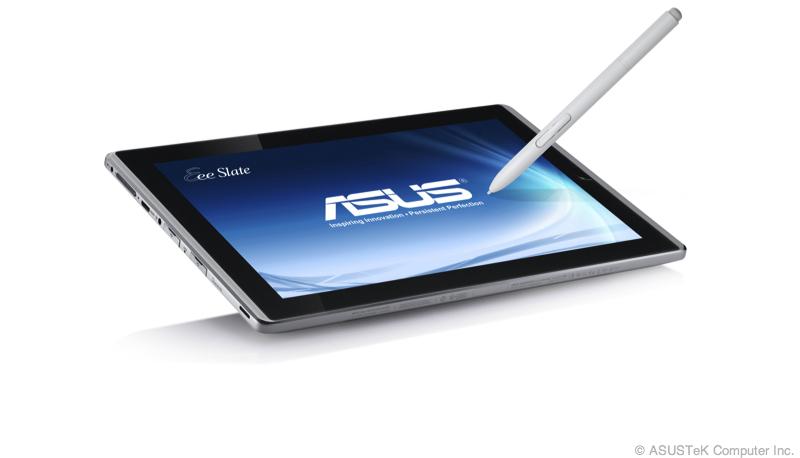 These are weak points, granted, but the Asus’ biggest problem isn’t its design: it’s Windows. In the consumer space, and as a tablet OS, Windows 7 still doesn’t cut the mustard. And, furthermore, the other question is whether graphics professionals wouldn’t be better served by pairing an Apple Macbook Pro 13 with a Wacom graphics tablet. The Eee Slate EP121 remains as desirable as Windows 7 tablets come, but ultimately it’s held back by Windows’ lacklustre touch experience. This is one of the best Windows 7 tablets we’ve seen in years, and one of the few slate designs that targets not just artists and verticals but consumers. The $999 to $1,099 price tag might sound high relative to consumer notebooks, but it’s much cheaper than 12” Windows slates that target business users in healthcare, real estate and the like. We love the no-compromise Core i5 ULV CPU that can easily handle Photoshop, Alias Sketch Book, Painter, MS Office and coding applications. The display is simply wonderful, and graphic artists should be pleased despite the glossy glass. The tablet runs cool and quiet, but we do wish battery life were better (though we find 3 hours acceptable). Build quality, design, ergonomics and looks are top notch, and Asus includes useful accessories like the portfolio case, Microsoft 6000 Bluetooth keyboard and a microfiber cleaning cloth. If you need the power of Windows and all the applications that go with that OS, but want a tablet form factor with touch and pen, it’s hard to beat the Asus Eee Slate EP121. 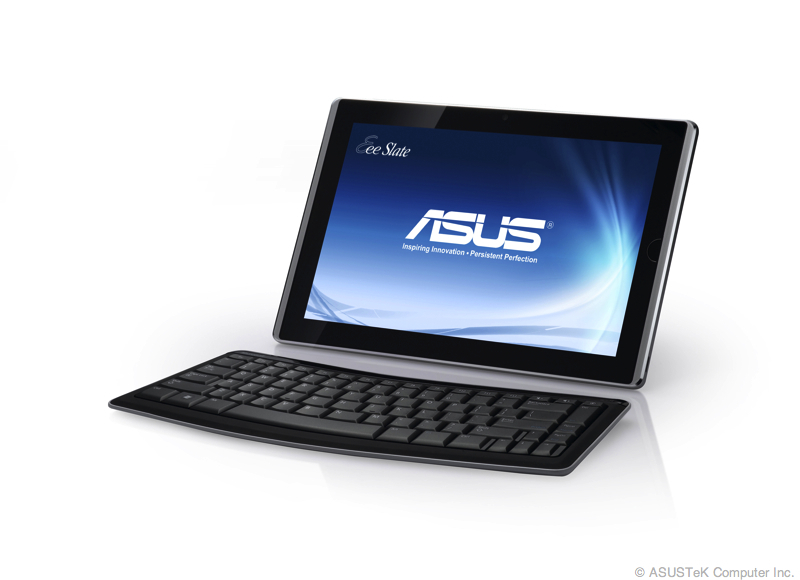 Asus claims that the device has 10-finger multi-touch support, however we weren’t able to get that to work - still on web browsing you can pinch to zoom and while it’s all possible, Windows 7 isn't really built for touch so it does present the usual problems. You’ll also have to get down the gym - the Asus EeeSlate EP121 isn’t light, weighing in at 1.145kg. To give you an idea how heavy that is, the iPad weighs 680 grams. You aren’t going to want to be carrying this around with you without a bag.